DWA wishes to pay tribute to Dr Mike Oliver who was a leading disability academic, who is most well known for his work developing the Social Model of Disability. His model has influenced thinking around how services for disabled people are developed and provided and has stimulated the disabled people’s movement worldwide. Read more about Dr Oliver, on Unite magazine’s website here. The equality watchdog is examining claims that the government has discriminated against UK disabled people’s organisations (DPOs) by excluding them from the delivery of a new £29 million international development programme. Read the full story here. Below is DWA’s response. Disability in Wales and Africa (DWA) is an organisation which has developed from the Wales Africa initiative. DWA wishes to encourage the greater inclusion of the UK Disability Movement, both as organisations and individuals, within the Disability and Development Sector. To this end, it has worked with Disability Wales and Hub Cymru Africa to start a research programme to look at how and why disabled people are not more prominent within Wales Africa activities. DWA has a strap-line of ‘Disabled People’s Participation Should Be Expected, Not Just Accepted’. It is concerned and disappointed to read about the debate highlighted in John Pring’s Disability News Service feature ‘Government discriminated against DPOs in awarding £29m development programme’. The 6 year programme is from the UK Government’s Department for International Development (DfID) and its purpose is to support disabled people in some of the poorest countries of the world. However, in not encouraging UK Disabled People Organisations (DPOs) to be part of the consortium DWA believes the UK Government and the Disability and Development Sector are missing out on the skills and experiences that UK disabled people can bring to the table. For example DWA wishes promote and demonstrate the importance of global solidarity amongst disabled people. Disabled people around the world have a common interest in monitoring the implementation of the UN Convention on the Rights of Persons with Disabilities as well as the achievement of the UN Sustainable Development Goals. DWA wishes to promote a culture, specifically here within the Wales Africa sector, the global community, and the international development movement which does not stop at saying to disabled people “you are very welcome” if they turn up. We want people to ask, when disabled people are not present, “where are they” and how can we increase their participation? Disability in Wales and Africa is looking for a new Internet, Social Media and Communications Intern! DWA needs a motivated individual to join its team as an Intern to assist with the organisation’s operation. Specifically, this will be to continue to develop DWA’s Website, and to manage social media accounts on Twitter, Facebook, LinkedIn and Instagram. We are also eager to investigate other ways and means to raise the visibility of the organisation. The role will touch on a variety of communication and marketing angles. It will provide opportunities for people to develop such skills and experience within a Third Sector environment, particularly those focusing on International Development and/or Disability. To apply please send a CV and covering letter to either Gemma James gem_james1@hotmail.com or Paul Lindoewood drtc@phonecoop.coop. The International Disability Alliance (IDA) together with the BOND Disability and Development Group (DDG), International Disability and Development Consortium (IDDC), Disability Rights Fund (DRF), UK DPOs and other partners, is organising a Civil Society Forum (referred to as the Forum) on 23 July, one day prior to the Global Disability Summit, at Queen Elizabeth Park in London. The purpose of the Forum is to leverage the opportunity to amplify the perspectives and participation of persons with disabilities, through their individual participation and that of representative organisations (DPOs). It is also to to highlight current issues relevant to the global disability movement and realisation of the CRPD, that will not specifically be addressed at the Summit. There is the opportunity for Civil Society to inform the discussions at the Forum and capture what civil society sees as most important to inform the outcomes of the overall Summit. Those interested can click here to do so through an online consultation. For more information in the Civil Society Forum or the Global Disability Summit, click here to go to their website. Gemma joined DWA in 2013 as a Researcher and subsequently joined the Management Committee in 2014. 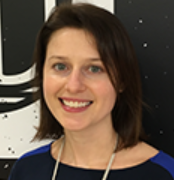 Gemma has been involved in development since the 2004 and has extensive project and programme management experience. Gemma’s portfolio has spanned delivering mental health services for refugees and asylum seekers; education and health provision for women and children living in poverty; and holistic HIV/AIDS services. Gemma has also served as an organisational development advisor in Kenya for the national hospice and palliative care association. Currently Gemma works with GSMA Mobile Money Programme, transforming the financial lives of underserved people; enabling greater financial inclusion, economic empowerment and driving economic growth in emerging markets. Gemma holds a BA in Sociology and Development Studies from Sussex University and an MSc in Poverty Reduction with Management from SOAS, University of London. Su Njogu is a member of the DWA Management Committee. She is also the coordinator and founder of the Kenya Disability Resource (www.kenyadisabilityresource.org). Su brings to the team a wealth of experience in academic research, project management and bid writing related to different aspects of Health and Social Care, Health policy, public health and life sciences in general. Before working in disability and development she worked as a researcher in Higher Education and at an International Research Centre in Nairobi Kenya for over 25 years. She has authored, co-authored and contributed to several scientific articles and policy reports. Her interest in disability started 30 years ago when she got a child with complex disabilities -who was born in Africa and spent his first 14 years experiencing the medical and social difficulties that most disabled people in Africa still go though today. Su is currently involved in inclusive development projects, advocacy & others and is committed to eradicating stigma. 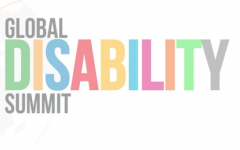 Nominations are open for DPO Representative at the Global Disability Summit on the 24 July 2018 in London. Nominations are welcome from all countries and regions. The following 10 Commonwealth Countries will have priority, namely: Kenya, Rwanda, Malawi, South Africa, Ghana, Nigeria, India, Uganda, Zambia and Bangladesh. showcase good practices and evidence from across the world.